Hospitals private or public have been relying on many different sources of income to continue operation. 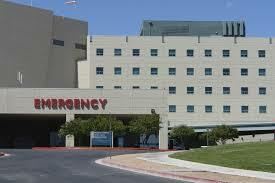 Many hospitals rely on bond funding for their development and the procure of new apparatus. Revenue that is created by the hospital is then used to pay back the bondholders. The risk to bondholders is that they are generally paid after the hospital pays its operational expenses. Therefore, if the hospital is less profitable than expected (or not profitable at all), bondholders assume the financial risk. Low-rated hospitals before have used strategies such as merging with higher-rated hospitals, diversifying payer mix, recruiting doctors, and opening new service lines in order to boost their credit ratings. But these tactics may not always work in a system that rewards value rather than volume. Therefore a stable source of financial capital must be develop in order to increase the quality of healthcare services. The CMS quality measures being tied more and more to hospital reimbursement CRAs are looking at ways to apply quality metrics to their hospital investment grade ratings. These savvy agencies recognize the basic tenet that hospitals which give a higher level of quality care tend to be more profitable. In the move from fee-for-service to value-based payment models in health care, it’s not surprising that CRAs are looking at different quality metrics when assessing investment risk. The factors they are looking into include Medicare reimbursement rates publicly available quality scores, HCAPS scores, and commitment to establishing a culture of safety. Some CRAs are also planning to highlight IT investments such as EHRs and data analytics platforms.They also looking at meaningful use and ICD-10 readiness. The ultimate ability to change quality of care lies in the hands of the front-line health care providers. Tying these quality factors to hospital credit ratings and subsequent bond funding available should help to bring quality even more front and center in c-suite and hospital board meetings. With the bottom-line becoming increasingly tied to quality and patient safety, hospital administrators need to work closer than ever with physicians and other constituents of the health care team to help them with the resources they need for institutional conversion. Hospitals needs to be focusing on improving their eminence of care in advance of these changes. Those institutions that wait for the CRAs to act first may find themselves in an increasingly difficult place to receive bond financial support. With the recognized inverse relationship between health care quality and expenditure, it would make sense to assume that those hospitals who might need bond funding the most may be the ones in worse shape to begin with.